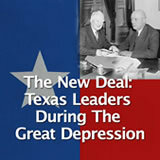 Students learn about the New Deal and how it attempted to solve the problems of the Great Depression. 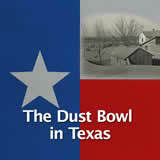 They also learn about the roles played by Texan politicians John Nance Garner and Sam Rayburn. 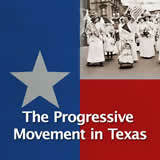 Then they consider how the New Deal impacted Texas. 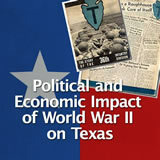 In this experience, students learn about the New Deal and how it attempted to solve the problems of the Great Depression. 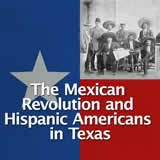 They also learn about the roles played by Texan politicians John Nance Garner and Sam Rayburn. 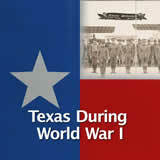 Then they consider how the New Deal impacted Texas. Students will collaborate in small groups for scenes 3 and 4. They will work using the jigsaw method, where each student in the group reads a different article and shares the information with the other small group members. When you assign the experience, put students into groups of at least four students each. 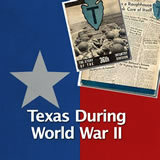 Describe how Texans were affected by the New Deal. 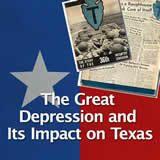 Identify the contributions of Texas leaders John Nance Garner and Sam Rayburn during the Great Depression. What is the role of the government to help people in hard times? Should the government provide money or jobs for people who are out of work? Or should people rely more on family and friends to help them out? Some argue that if the government provides money then people become dependent on assistance and might get lazy. Others argue that government has a duty to help people who are struggling with basic needs such as food and shelter. 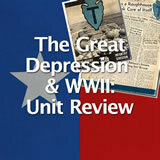 In this lesson you will learn about the New Deal, which expanded the role of government assistance to those in need during the Great Depression. B) should not provide money or jobs for people. How did the class vote? Ask students to provide reasons for how they voted on the poll and have a short class discussion.